Basketball goggles are an important accessory for many players. It is vital that people be able to see everything clearly when playing. Wearing prescription glasses can create a lot of issues. First of all, glasses obstruct the peripheral vision which will decrease a player’s ability to be on top of their game. Glasses can also be hit by another player by accident which will result in them flying off and/or breaking. The reasoning behind the invention of basketball goggles is to ensure that a player can play properly with no decline in eyesight. Basketball goggles can be filled with any eyeglass prescription. However, they can also be non-prescription because of the protection they provide. By wearing basketball goggles a player significantly reduces, or even eliminates, their risk of obtaining a serious eye injury. Protective eyewear has changed dramatically over the years and basketball goggles have made it easier for USA basketball players and for global basketball as a whole. 1. Court Vision Dribbling Goggles made by SKLZ. 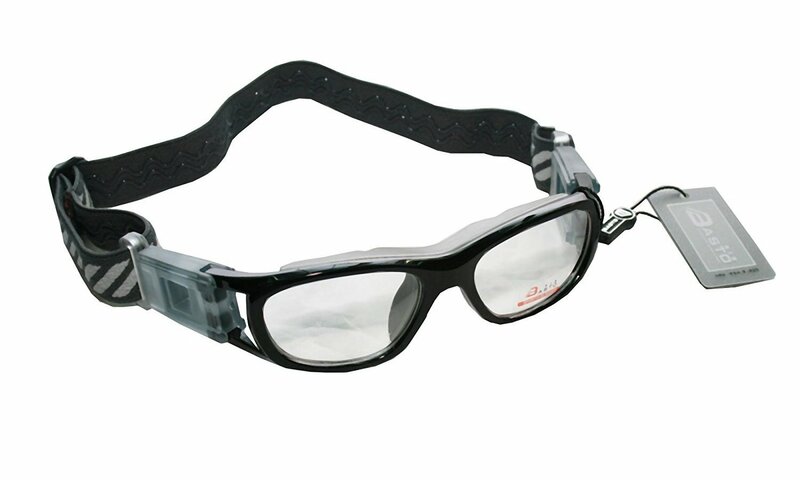 These are non-prescription basketball goggles that are designed to restrict the player from looking downward, which will allow for the player to be able to see the court better. The straps for the goggles are adjustable and are made out of a comfortable elastic material that will conform to the shape of the head. The rims of the goggles are made out of a flexible plastic. They cost under $10 USD. 2. Impulse Protective Eyewear made by HEAD. 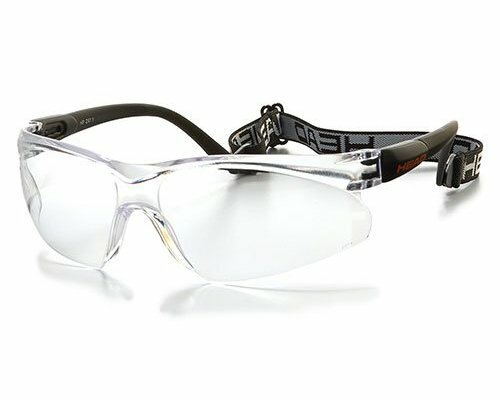 These basketball goggles are made with shatterproof polycarbonate lenses. They are also fog treated so that players do not need to worry about any chances of having obstructed vision due to body heat and sweat. The straps are adjustable and the goggles are hinge-styled at the temples to provide extra comfort. These basketball goggles cost around $13 USD. 3. Sports goggles for basketball football volleyball hockey paintball lacrosse 1831 made by PONOSOON. 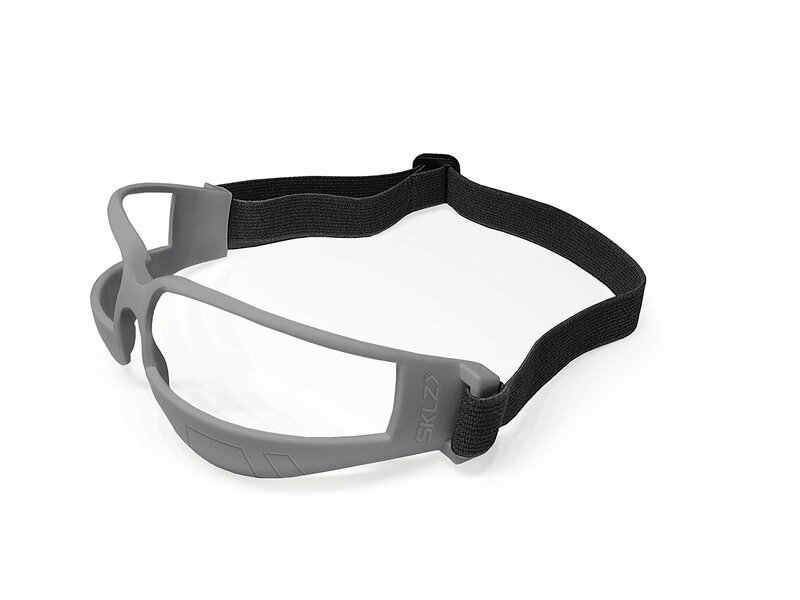 The basketball goggles made by PONOSOON are equipped with silicon nose pads for a comfortable fit. The dual lenses are anti-fog and are surrounded by a hard frame. The lenses are also dustproof/scratch proof and can be easily replaced with prescription lenses. The goggles come with a case for maximum protection when not in use. They cost around $20 USD. 4. Dribble Specs Basketball Training Aid, Black made by Unique Sports. 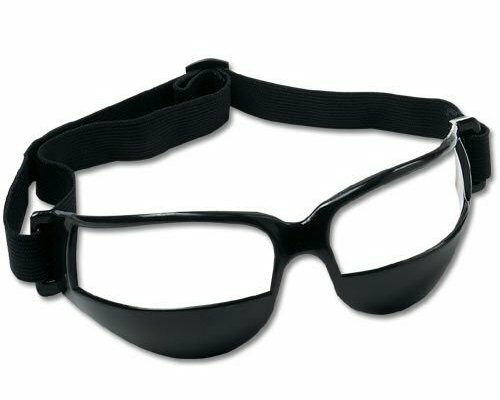 These basketball goggles are designed to aid players to restrict their habit of looking down at the court or ball when dribbling. They are made of a soft plastic and are comfortable to wear with adjustable straps. They cost under $10 USD. 5. Pyramex I-Force Sporty Dual Pane Anti-Fog Goggle made by Pyramex Safety. The temples of the goggle are interchangeable as well as the strap. The dual polycarbonate lenses are scratch resistant, offer 90% UV/A/B protection from the sun’s rays, and have anti-fog technology. They are also able to withstand a substantial amount of impact. These goggles cost around $20 USD. 6. 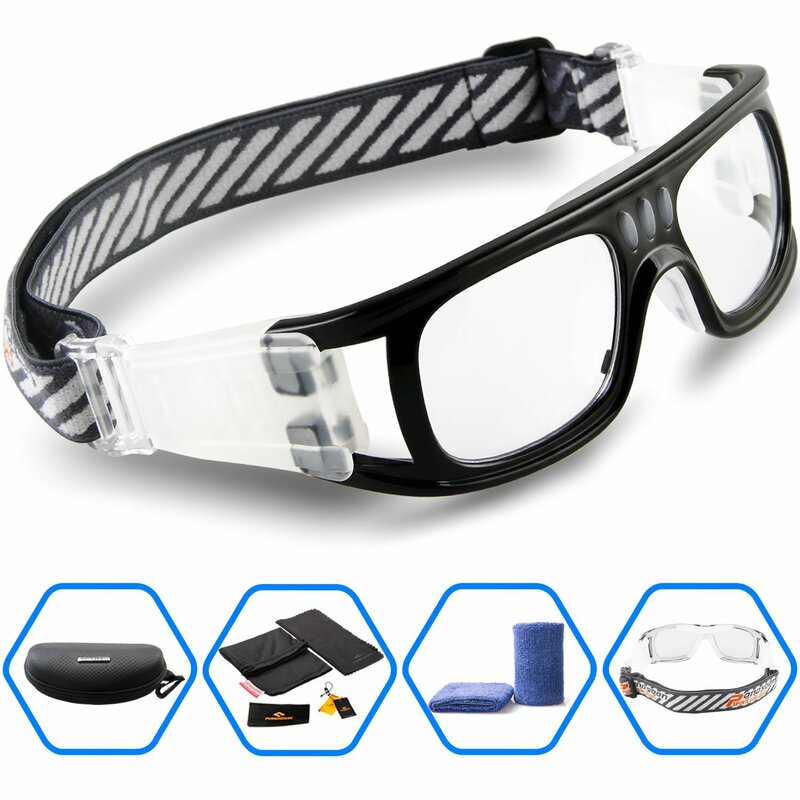 Protective Goggles Sports Glasses: Basketball Football Ice Hockey Rugby Baseball made by AGPtek. The lenses to these goggles can be switched to prescription lenses. The temples and straps are adjustable to ensure a great fit. These goggles cost over $20 USD. 7. New Basketball / Football Sports Glasses Anti Fog Anti Collision Sports Goggles BL016 made by IDS. These goggles are for kids and come in either black or white. The framing is made to be able to withstand impact and is made of soft plastic. The goggles also come with a sturdy case to keep them safe. These goggles cost around $20 USD. 8. 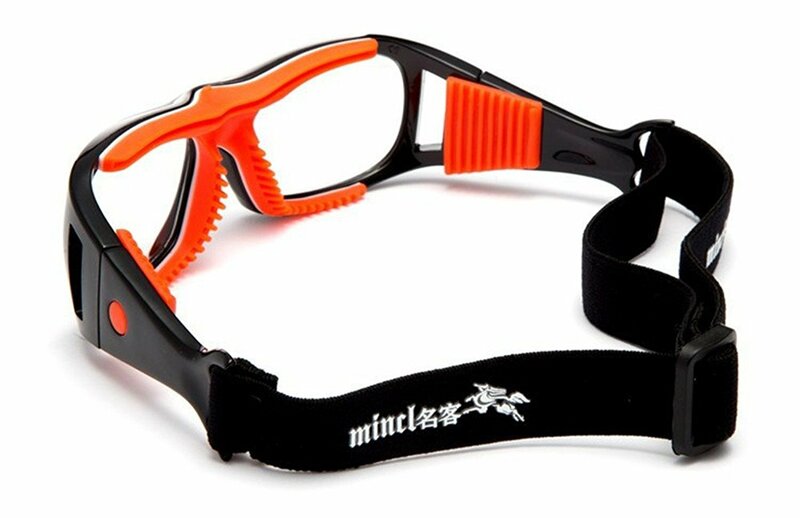 Basketball Sports Glasses Football Perfect Personality Goggles made by Mincl. 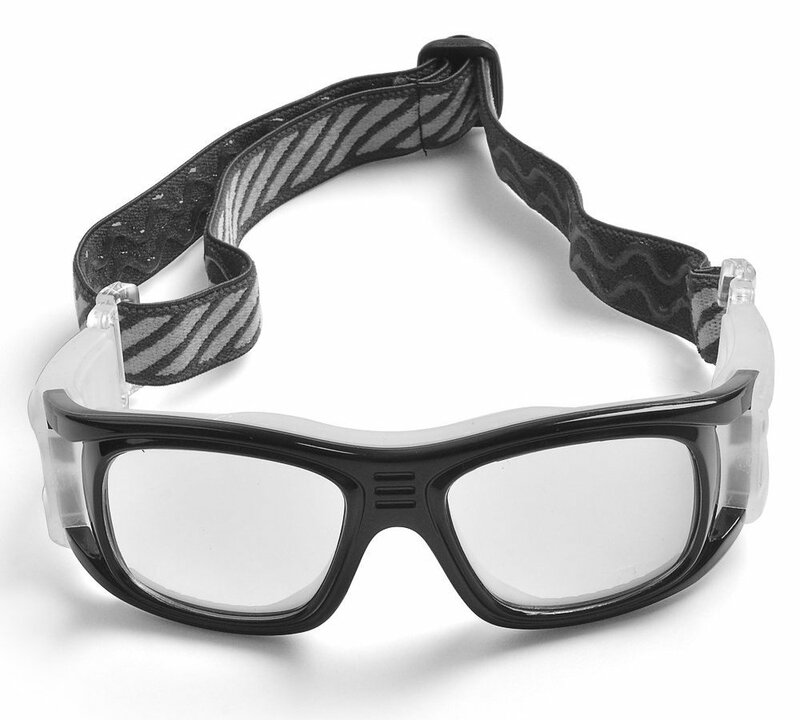 These basketball goggles are also compatible with prescription lenses. The frame is made of a soft plastic for comfort and the frame around the lenses is lined with rubber. The lenses that come with the goggles initially are made of plastic and are non-polarized. These goggles cost under $20 USD. 9. Wrap Goggles Sports Glasses Eyewear Basketball Soccer with Case made by Nihao. These goggles are also able to resist against high-impact. The framing has silicone lining around the nose and forehead for ultimate comfort. The adjustable straps allow for a better fit and the lenses are scratch resistant. They also come with a cloth for cleaning and a case. These goggles cost around $10 USD. 10. 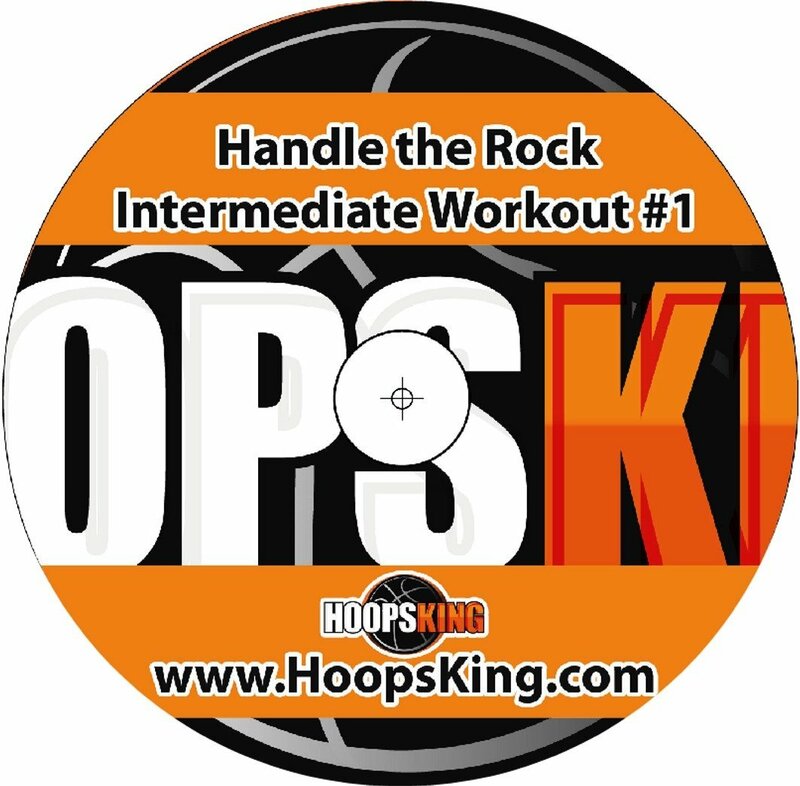 Basketball Dribble Goggles 10 Pack Plus Workout DVD made by HoopsKing. 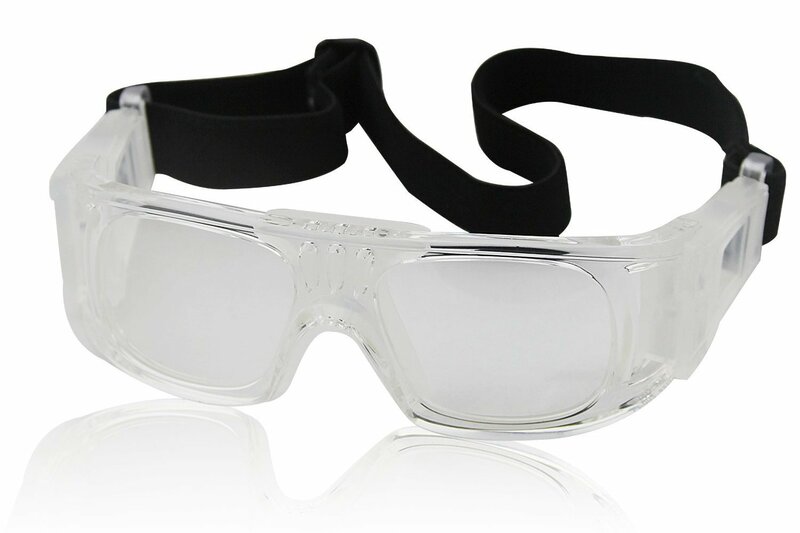 These basketball goggles are ideal for a team of players. The dribble basketball goggles are designed to keep the player looking forward which will teach them to dribble by touch, not sight. The goggles are one size fits all. They are made of flexible plastic with an adjustable strap. The 10 pack of goggles cost around $45 USD.